Today I am waiting for my mac to download OSx Lion so I can give the game a bit more of a run on the hardware (and yes fix that one last bug!!!) while I wait for that to happen I thought I would write another post. The trailer is now close to having 10,000 views! so I am pretty amazed and humbled by that. Last night I went to the airport, to do some work and meet a friend(well my girlfriend who also happens to voice the character in the game!). Whilst I sat in the Coffee Club at 3 a.m. or so everything got kind of exciting as the manager and his colleague fired up an MP3 on a mobile phone and started singing along…”one, twice….three times a lady”. Empty airports in the middle of the night are kind of fun. Anyway while I was there I got inspired by the trailer hits to add a little bit more feedback to the game, plus a pointless little joke into the UI for extra amusement. I probably should have been working on Game number 2, but what the hell! if the next game gets noticed as much as this one, I will be amazed, so I feel like I should make this one as good as can be so that people might take a passing interest in what gets released next. So I was going to talk about music, Some of you probably know I am sort of in a band, when I make it back the the UK we tend to get together and make a lot of noise, or put out a record that between 10 and 15 people buy. It was also music/sound editing that got me into this industry, and at the depths of my gory innards I still relish the opportunity to get behind an instrument or sequencer and get down to writing something. Doing this game gave me the added bonus of having an excuse to explore my secret love of chip-tunes, I say secret, it isn’t secret, it’s just that most people I talk to don’t seem to know what chip-music is, or when I explain they think I am joking, therefore I don’t tend to bring it up too often. I can say honestly that I think chip music is actually the thing I listen to almost more than anything else these days (oh yeah chip music = music made with the audio chips of old game consoles). I think it has a lot of qualities, there is the nostalgia element that takes us back to when we were kids screaming with fury at Thunderforce II on the Megadrive or whatever. But I think there is also a purity and heaviness to the sound. Take the square wave, it is about as heavy as a sound can get…audio mostly looks like a nice smooth wave flowing from one end of the song to the other, but when its distorted (like a metal guitar) it gets turned up louder, and where it get’s too loud the wave gets cut off, giving you these flat bits that cut harshly in to the smooth wave. As you can imagine, the more you turn it up, the more flat bits you get…the bits at zero stay at zero, and the bits that aren’t don’t. Essentially the more distortion you add to a signal, the closer it gets to a square wave. This is why the Gameboy is probably the heaviest instrument ever made! The simplicity of the sounds really does it for me too, the musical notes are so pure. By default they have no harmonics, so they just happily sit there filling out their frequency but not stepping in to the airspace of others. This means you can put some crazy numbers of notes together and still pick out the melody without it becoming a messy mush in the mix (but like they say in Ghostbusters, don’t cross the frequencies – or is that streams, but yeah if you do sometimes notes can actually cancel each other out!). There is also the cool minimalist thing going on with it, you get a tune, and not much else. And finally there is that warm analogue aspect in there somewhere too. When the frequencies are out of the range for the 4bit or 8bit chip to accurately play (usually when the waves get too wide (notes too deep) or the waves get too tight for the speed of the chip (high notes)), yes when that happens, the sound gets some nasty artifacts, these sound often breathy, or like static and can give the instrument a level of detail not unlike that of something far more complex. There you go, why I like chip tunes so damned much popped in to a few paragraphs, that might come off as pretentious, but no I really mean every word of it (some of the technical thing I may be wrong about as I am just going from observation). 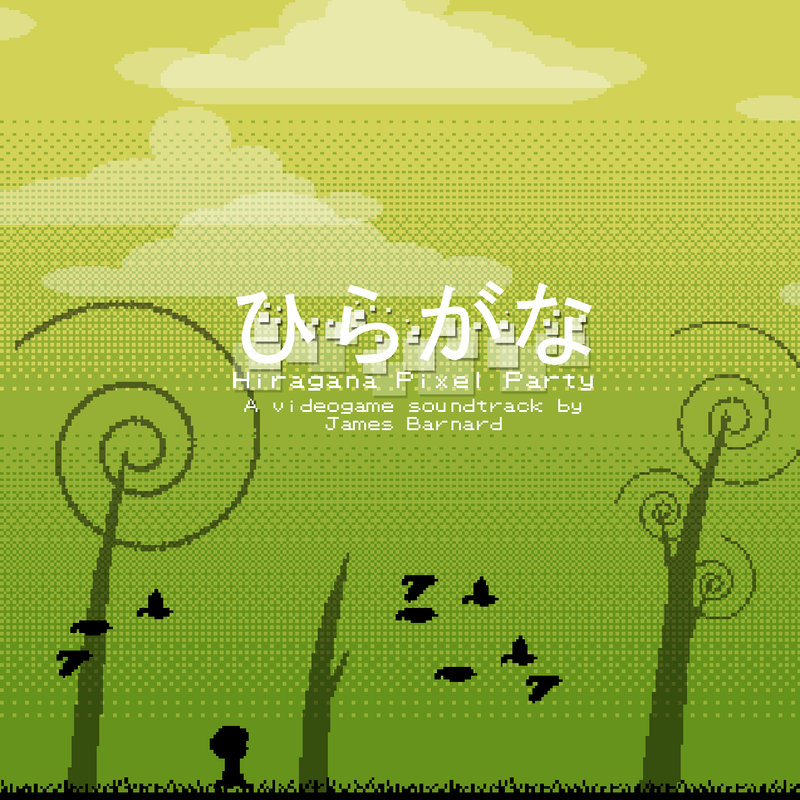 I don’t think there are many great chip tune artists out there, but there are the few I do like: Anamanaguchi, Spamtron, Disasterpeace, and the mightiest of them all YMCK (Hirigana Pixel Parties main character is a homage to their singer). awesome! thanks for sharing…”simply known as james”:) spoiler ahead…James…Barnard ! « 14 year old code, finally released to the public…internet community stunned! !